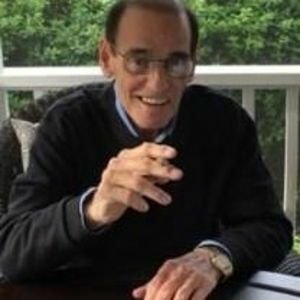 Joseph Randazzo, 78, of Apex, NC, formerly of Meadville, PA, died Saturday, December 2, 2017 at Transitions Lifecare Hospice in Raleigh, NC. Joseph was born in Meadville, PA to the late Samuel and Joan Montelone Randazzo. He attended Edinboro University of PA and completed his tool and die apprenticeship at Talon Zipper Inc. Joseph was an artist, a tool and die maker, and a small business owner in Meadville, PA. He was preceded in death by his grandson, Timothy Randazzo. Joseph is survived by his wife of 55 years, Nancy Egolf Randazzo; daughters, Susan Morrison and husband, Robert and Barbara J. Lewis and husband, Robert; son, David Randazzo and wife, Kathy; sister, Sally Brunot; and four grandsons, Samuel, Joseph, Jonathan and Matthew. A memorial service will be held 2pm Thursday, December 7, 2017 at Apex Funeral Home Chapel, 550 W. Williams St, Apex, NC 27502. The family will receive friends 1-2pm prior to the service at the funeral home. Memorials may be made to Transitions Lifecare Hospice, 250 Hospice Circle, Raleigh, NC 27607.